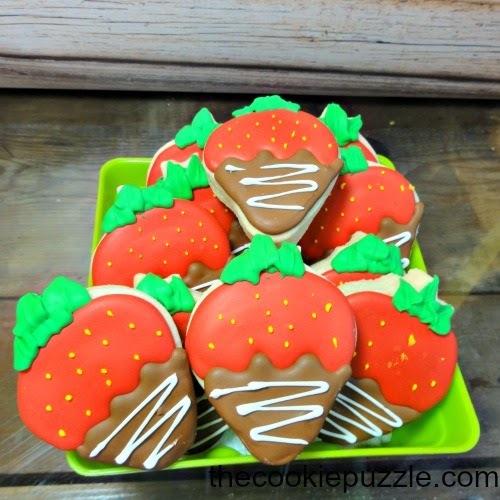 Chocolate Covered Strawberry cookies are fun to make, and in my opinion, much better then the "real" thing! 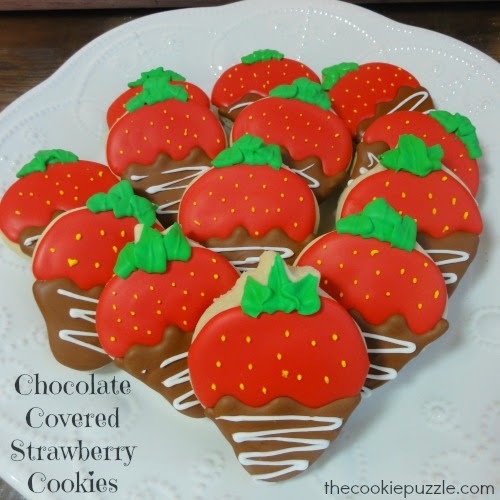 I made these using my favorite sugar cookie recipe, found HERE, and the awesome tutorial by Callye of Sugarbelle, you can find HERE. I really see no need to explain how I made these, Callye always does such a wonderful job, so just follow the link to her tutorial, and you can make them too! 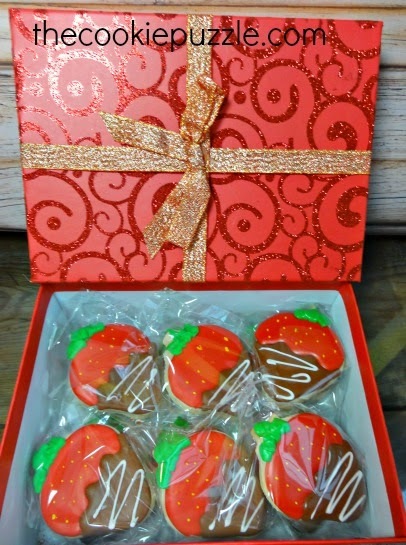 Missouri Cottage Law prevents me from shipping cookies, but if you are in Central Missouri, I am taking orders for these cookies, I am sure your sweetheart will love them. 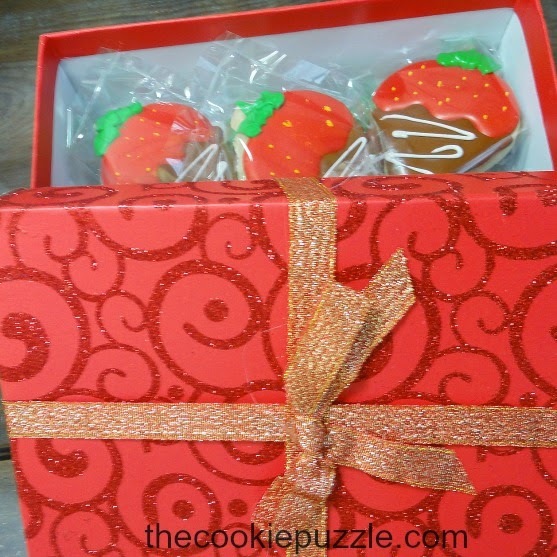 They will come individually wrapped and in a cute box, ready to hand your special loved one. 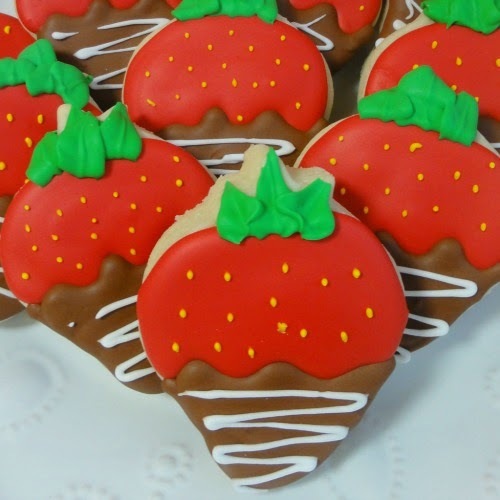 I am also happy to announce that, cookies can now be picked up at Dutt's in New Franklin, Missouri. This allows customers to pick at their leisure , and for them to get to see just how wonderful Dutt's is. If you would like some cookies, for that special someone,they must be pre-ordered by February 6th, they will be ready for pick up at Dutt's on February 13-14. 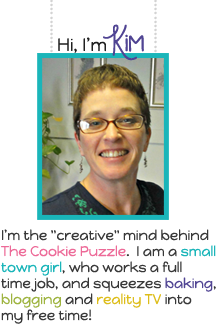 If you would like to place an order, contact me at thecookiepuzzle@gmail.com. I am also trying to get some simple heart cookies together to offer too, so stay tuned.